Sometimes, investors have neither time nor energy to manage their money effectively. That's why services of financial advisers are in great demand today. One of the ways for these specialists to assure potential customers of their high qualification is to show their strong web presence. In this case, you won't find a better assistant in creating a top-notch online resource than the template presented here. If investors are in a difficult situation, they will find relief on your website due to its soothing color scheme and cheerful faces in the background image. The visual opportunities of the template will represent the promoted firm as a reliable partner that can help investors develop an appropriate financial plan to overcome the majority of their troubles. Make use of this offering to assist people in developing a smart strategy of investing their capital. 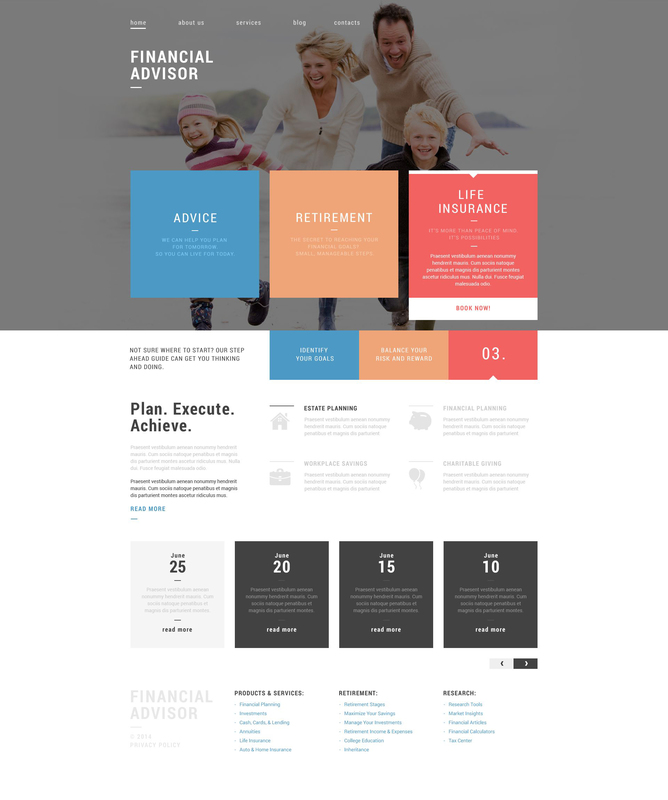 Financial Advisor Drupal Template is a good theme for financial agency, I used in a China Financial Agency http://chuanrong.xyhuang.dev.drupalagile.com/. The most important factors I chose this theme, is 1. it&#039;s responsive, so it supports mobile and wechat; 2. the content is very close to financial business; 3. it&rsquo;s made by drupal. I&rsquo;m a drupal site builder, with this theme I can build a site quickly, and client is happy to see his site going online quickly. For better improvements, it would be better to have some slideshows. I purchased this template for my own site and although I have little technical skills, the staff at templatemonster.com were very helpful in showing me how to install it on my site. I have purchased from templatemonster.com in the past, and have been very satisfied with their products and customer support from day one.